As you probably know, a professional carpet cleaning every six to twelve months not only keeps your carpets looking like new, but can double your carpet’s life by removing hidden soil and grit before fiber damage can occur. 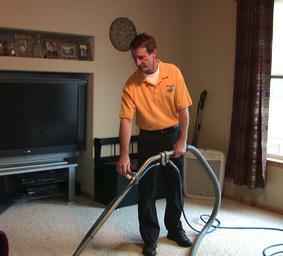 Another advantage of regularly scheduled carpet cleanings is improved indoor air quality. Carpets are traps for all kinds of air pollutants. Not only do we track in dirt from outside, we also track in tar, chemicals, smoke, car exhaust, and much more. Fresh & Clean Carpet King recognizes that each home or office has different types and levels of dirt. So we have developed a system using top quality carpet cleaning solutions and recommend the proper cleaning agents for your unique cleaning situation. Visit the Frequently Asked Questions Page for a more detailed explanation of our cleaning process. Spending a little extra time analyzing your needs gives you the best product and service for your money. Ask us about our environmentally safe products and we will be happy to determine if that is the best process for you. If you have any questions that are not answered by this website, feel free to give us a call. We are here to make this process easy and enjoyable for you.